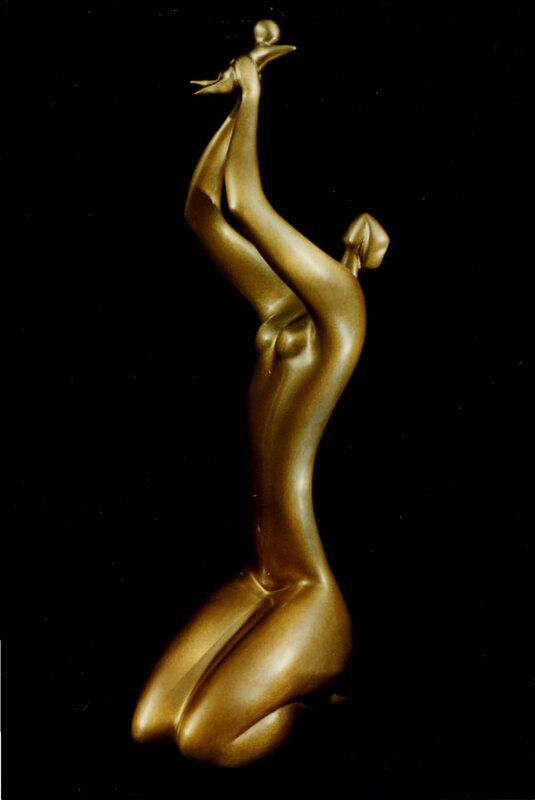 His large sculpture, “Youth”, was commissioned in the city of Valencia, Spain for its Exposition. 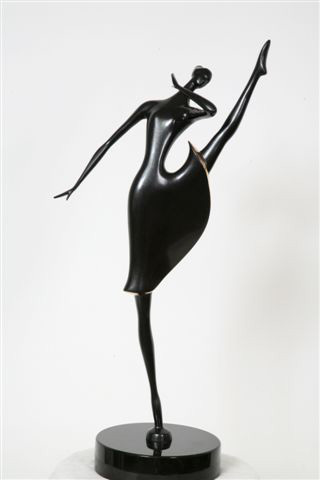 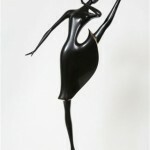 His “Joy of Dance” sculpture is on permanent display in Shinji, Japan. 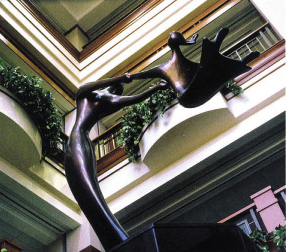 His 8 foot high “Dance of Life” was recently commissioned as part of a $200 million expansion of Central DuPage Hospital in Chicago (see left – click to enlarge). 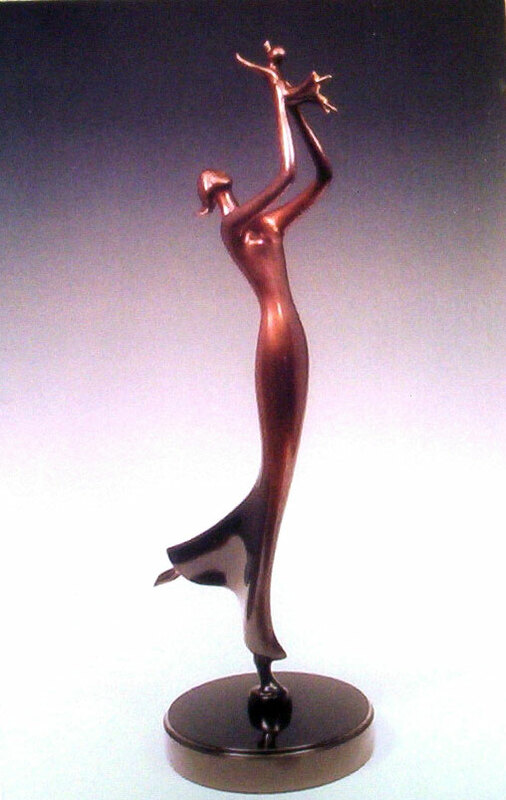 This bronze, placed upon a 7 foot granite pedestal rises 15 feet in a four story high atrium and is the artistic centerpiece of the hospital’s new $35 million Women and Children’s Pavilion. 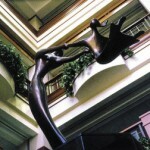 Other recent projects include: The Palo Alto Medical Foundation who commissioned a large version of ‘Rejoice’ for their public collection, The Lucille Packard Children’s Hospital at Stanford Medical Center which recently installed a life-size bronze in their Central Garden Court, and the insurance firm LISI Inc who aquired seven bronzes for their coprorate offices in San Mateo, CA. 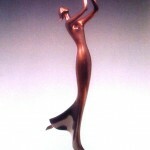 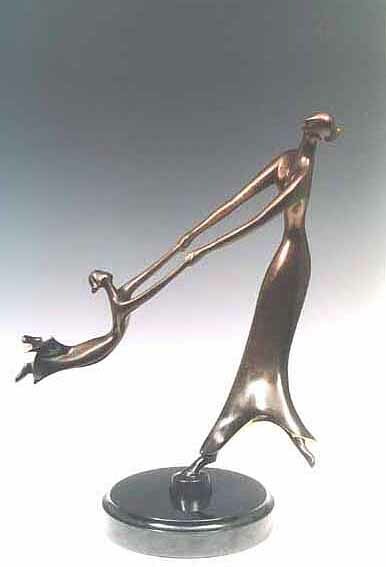 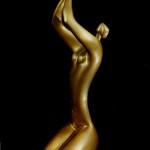 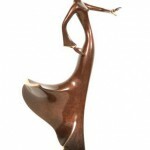 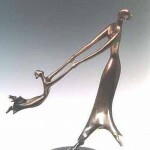 The Global Summit of Women 2008, held in Hanoi Vietnam, selected three sculptures for its Award Presentation Ceremonies. 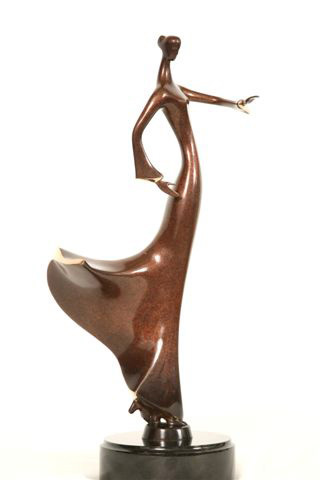 The sculptures were presented to the Ministers of Barbados, Mexico and South Africa for their outstanding acheivements in public and private partnerships advancing women and girls.